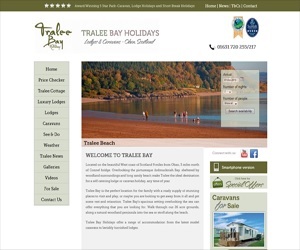 David Shellcock and his brothers Ian and Richard have been running Tralee Bay Holidays since 2000. David says that running a successful business with 70 units is all about matching the customers’ expectations with the product – from their booking experience to customer service from arrival through to departure. Having tried several booking systems in the past, they found the perfect match in SuperControl PLUS in 2009. “When we first changed over to SuperControl and saw how much it could do we thought it would be complicated – but it’s not. It doesn’t take long to train staff how to use it; so when one of us goes on holiday it’s easy to show whoever is covering how to use the system. “SuperControl® know their stuff; they’ve got experience in self-catering. The fact SuperControl has owner-drivers is important, they know what they are doing. They are not just someone who decided to create a booking system. “We’re really happy with SuperControl because it’s so flexible, we can change things and it shows instantly. The low occupancy discount is a really powerful tool – our 4 berths always book up first and the 6 berths last but now we run a 2 person discount it’s changed because it’s like paying per head. It makes us more flexible. “50% of our bookings are made online; so SuperControl is the best value for money product we use!